Winfield Micro Systems rating system was developed in 1978 by a mover for the private use within his office. 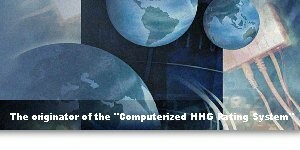 It was discovered at that time their was a need for commercial H.H.Goods rating system that could be used on a movers local computer system. To have an independent (from a carrier) rating system allowed complete freedom for a small agency to create estimates, Bills of Lading and invoices locally. Today, large and small moving and storage companies use Winfield's rating system on desktop and laptop computers. Winfield enjoys an excellent reputation as the originator and leader in the rating field. Thank you for taking the time to visit Winfield Micro Systems, Inc. Winfield Micro's Computerized ratings system is a complete interpretation of all existing HHG tariffs. Our programs are completely customized to your van line utilizing your van line's forms! Available programs include HHG 400 Interstate Tariff, Government Tariff, Military HHG Tariff, Custom Tariff/Contracts, and Intra/Local Tariff.